Many of the fruits and vegetables sold in our grocery stores contain harsh chemicals, pesticides and GMOs (Genetically Modified Organisms). These chemicals have been linked to cancer, diabetes, nervous system problems and the list goes on. Check out http://beyondpesticides.org for more information. Organic is usually the best way to go, but for many people buying organic can be costly. 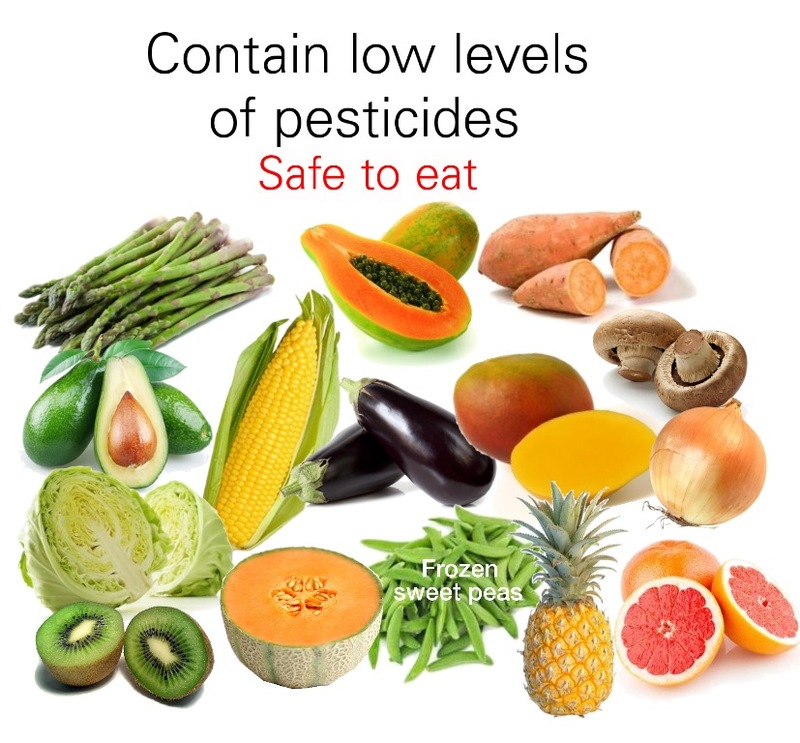 The Environmental Working Group has a list of the fruits and vegetables (Dirty 12) that contain high levels of pesticides. If you can’t buy organic all the time, there are some fruits and veggies you can buy that have lesser amounts of pesticides and are usually safe to eat.